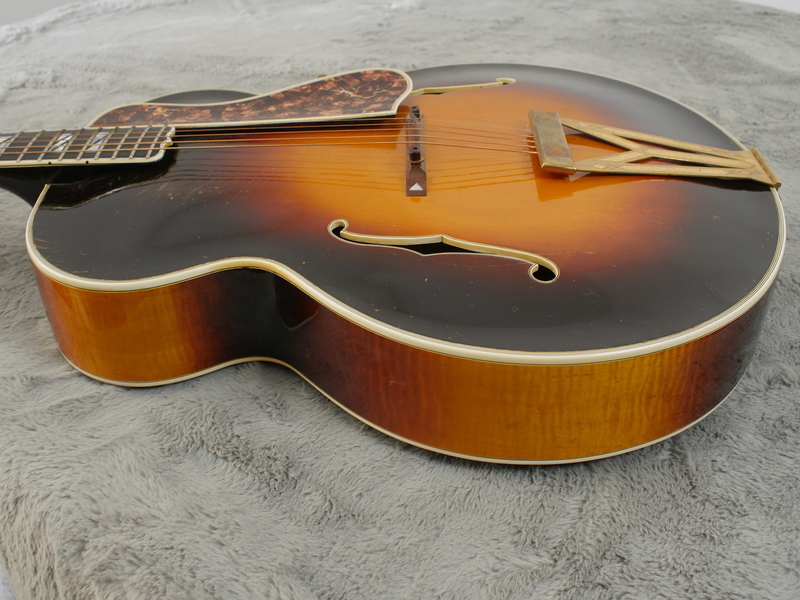 Very nice and grandiose pre-war Gibson Super 400 acoustic archtop from the swing band era and from the very first year of production of this iconic Super 400 archtop. 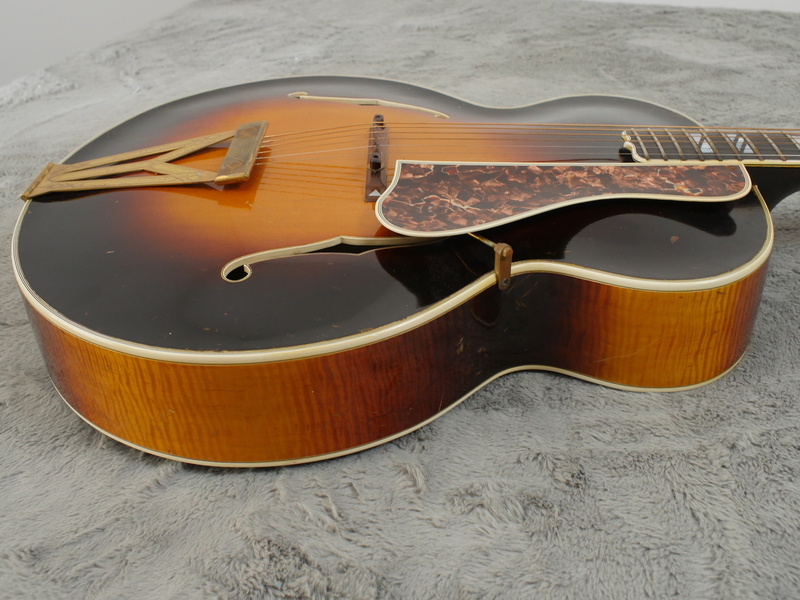 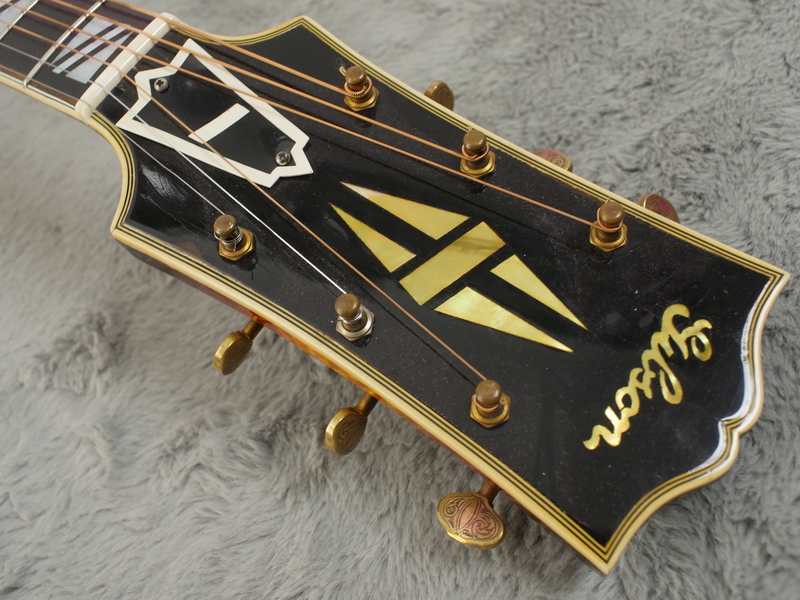 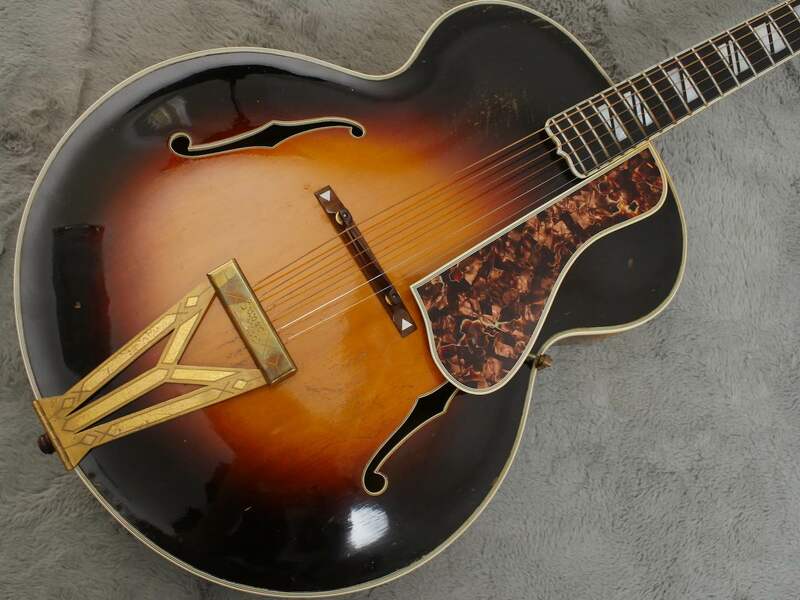 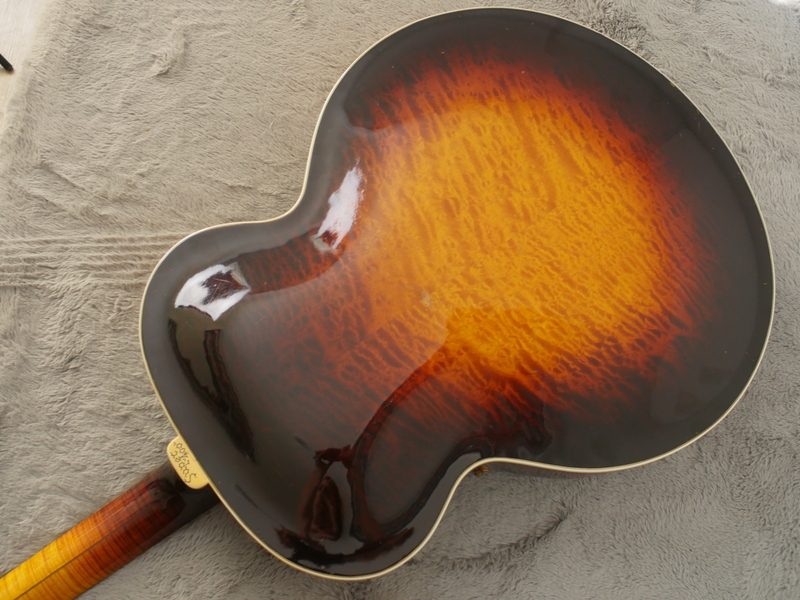 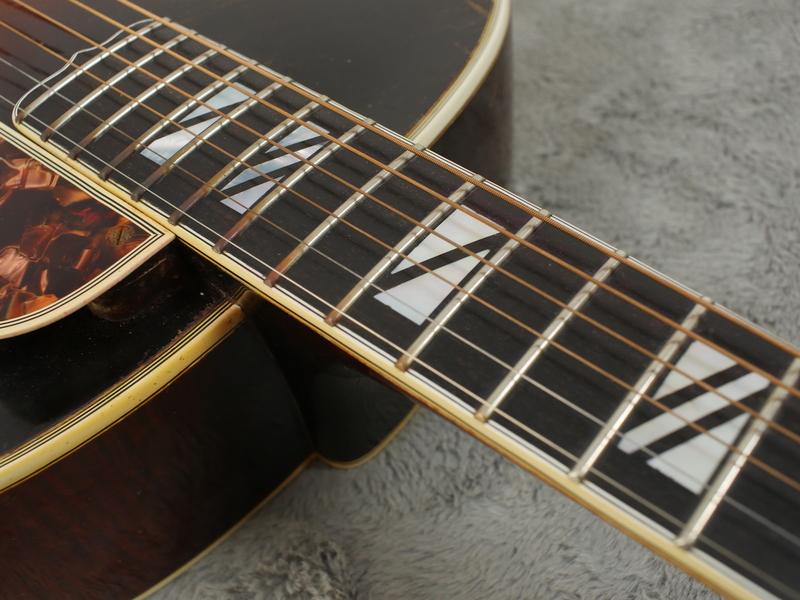 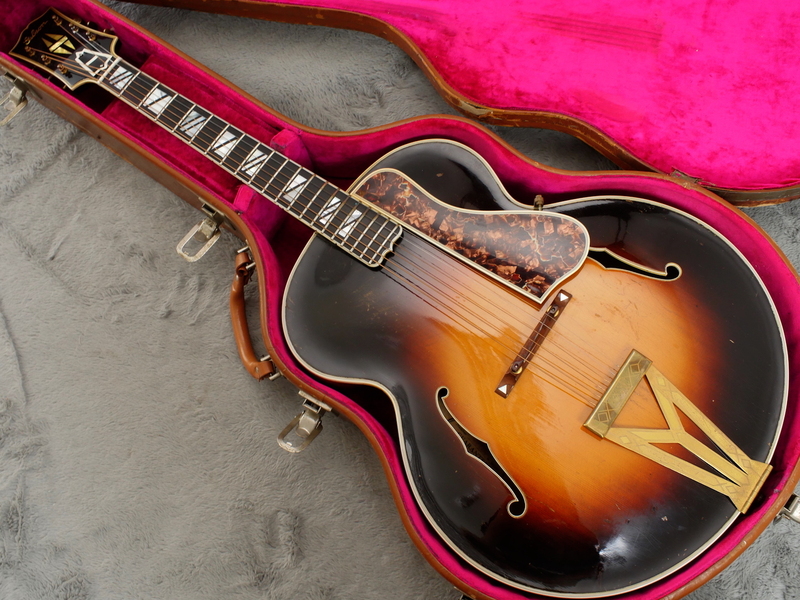 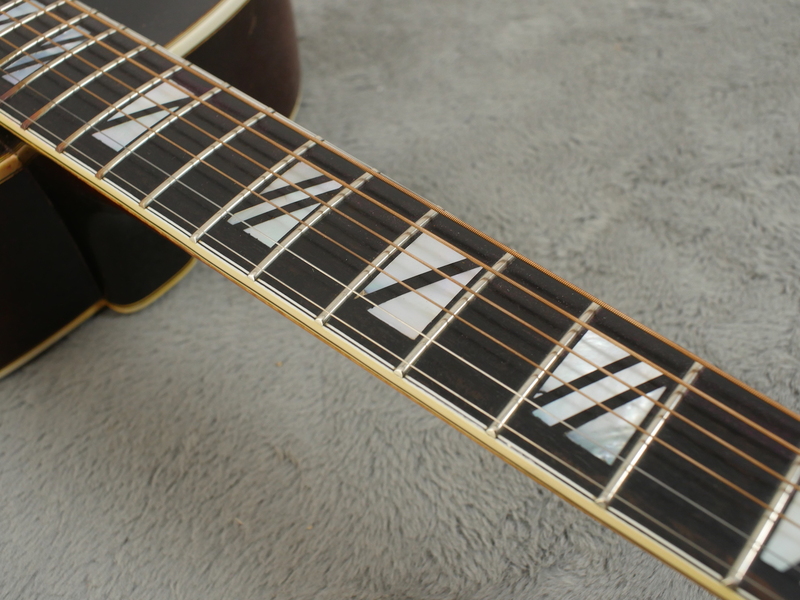 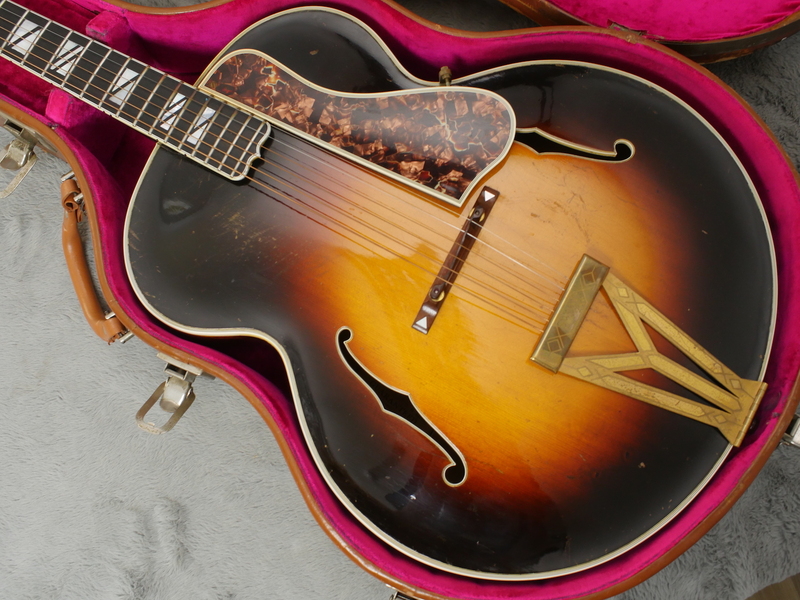 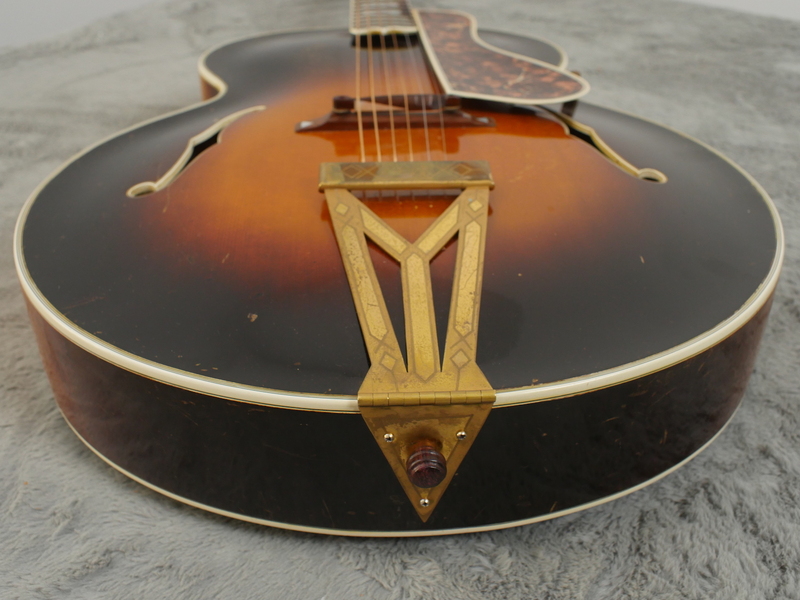 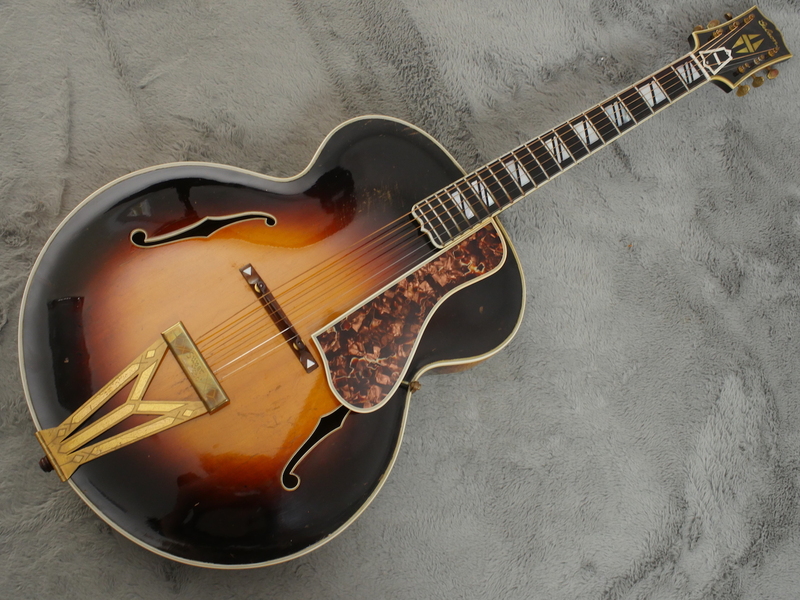 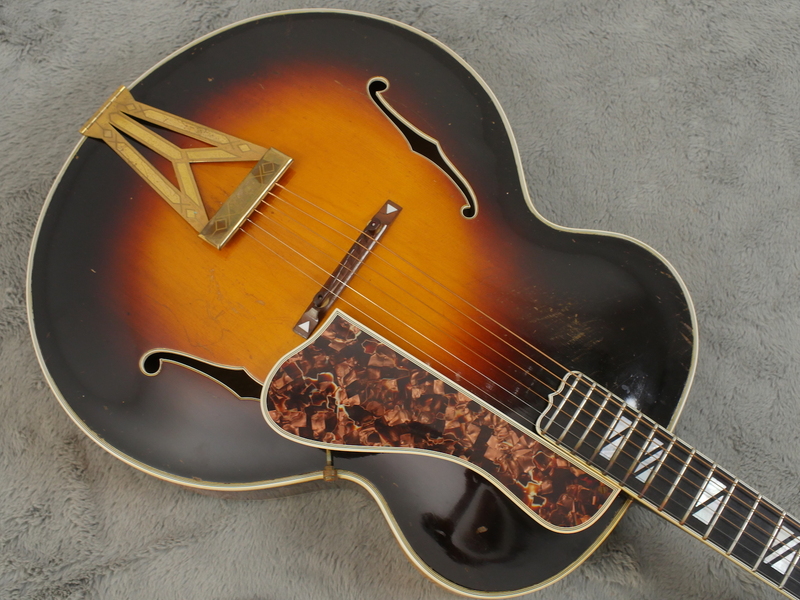 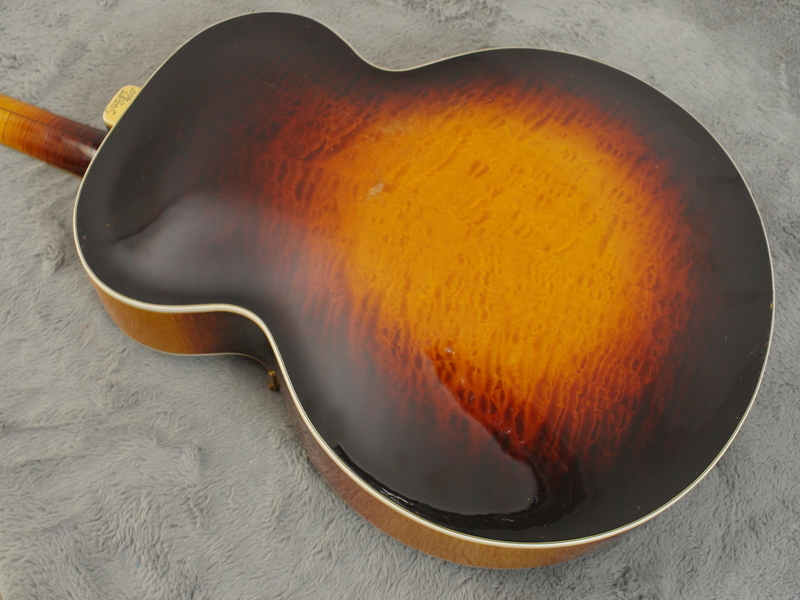 Yes, this one displays all the characteristics of the unique first production year - 1935 and is a very rare and desirable find for those who love these marvellous, classic Gibson archtops. 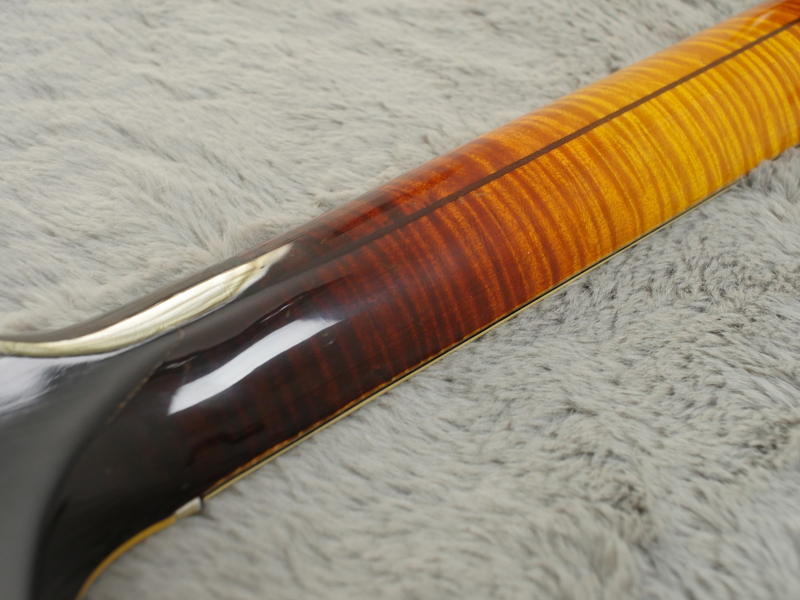 It is loaded with the features you only see in 1935 such as the 18” lower bout coupled with the 12 1/4” upper bout, the small triple bound f holes and 24 3/4” scale length. 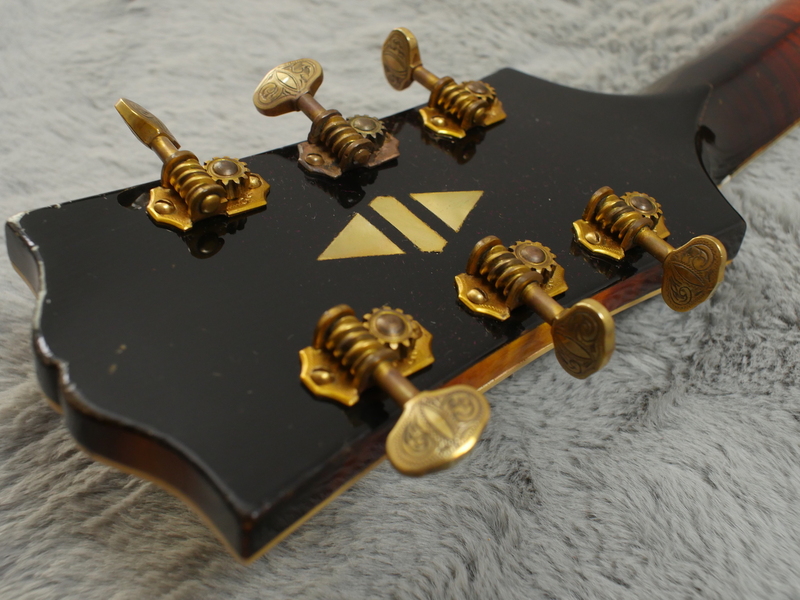 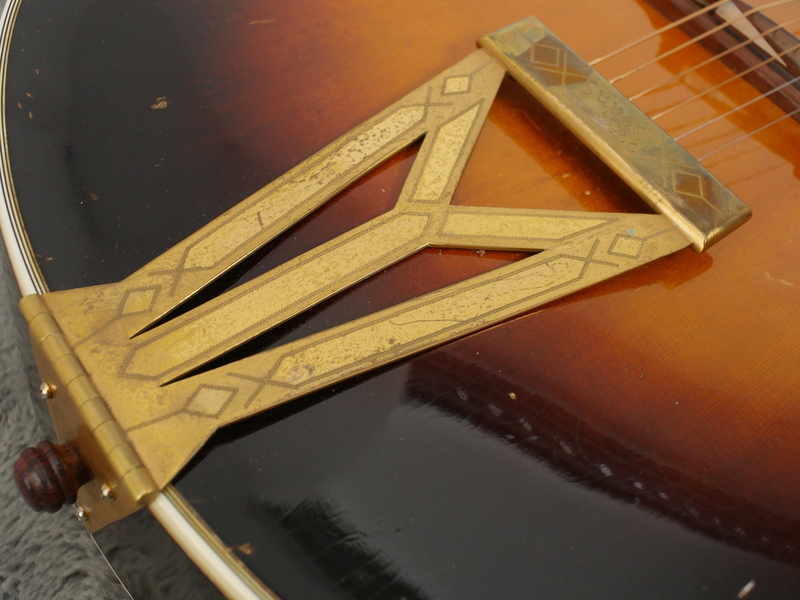 It even has the beautiful, original, highly engraved Grover ‘butter bean’ tuners lie you see on the most expensive pre war Martin 4x series guitars. 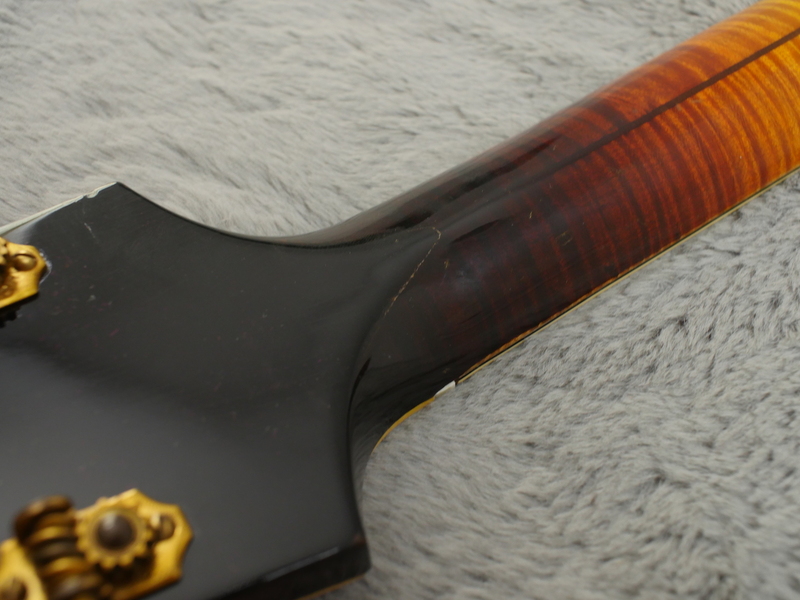 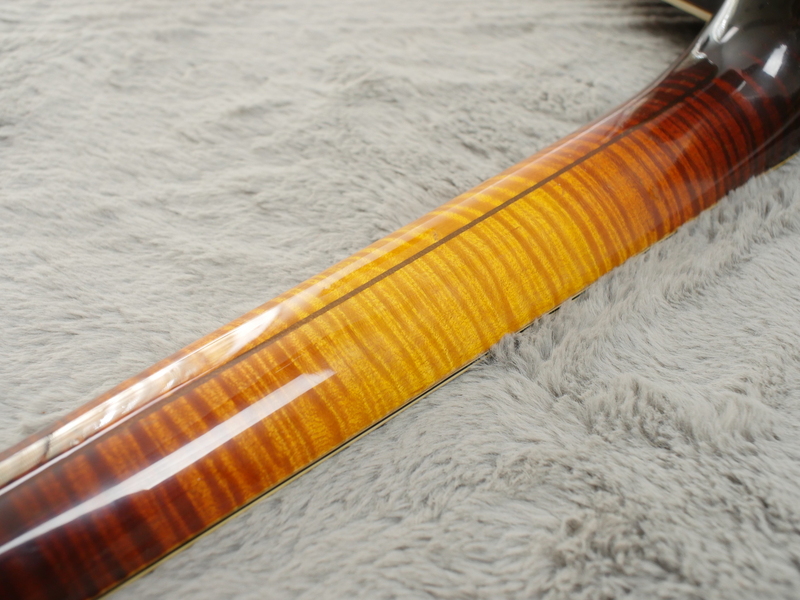 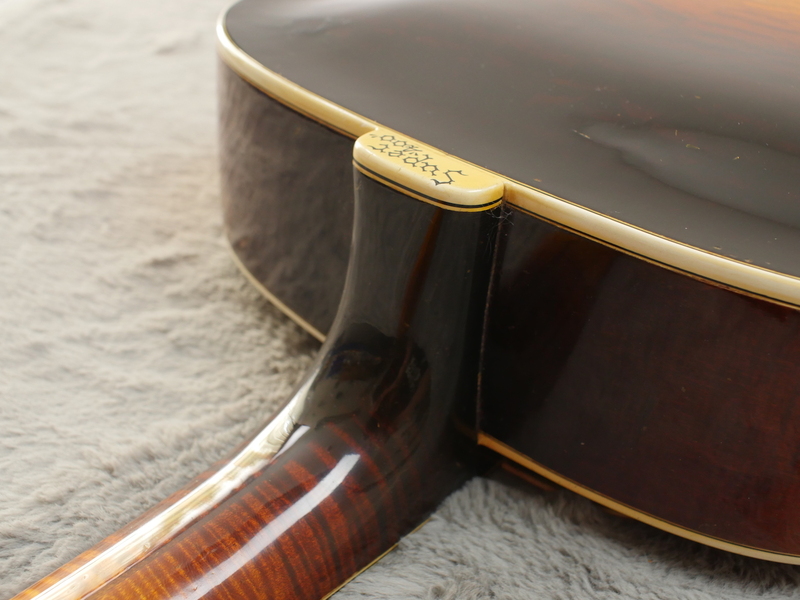 The pickguard is the original Gibson marbleised 30’s guard and compared to most of the similar 355 type guards we see, this one is in phenomenal condition. 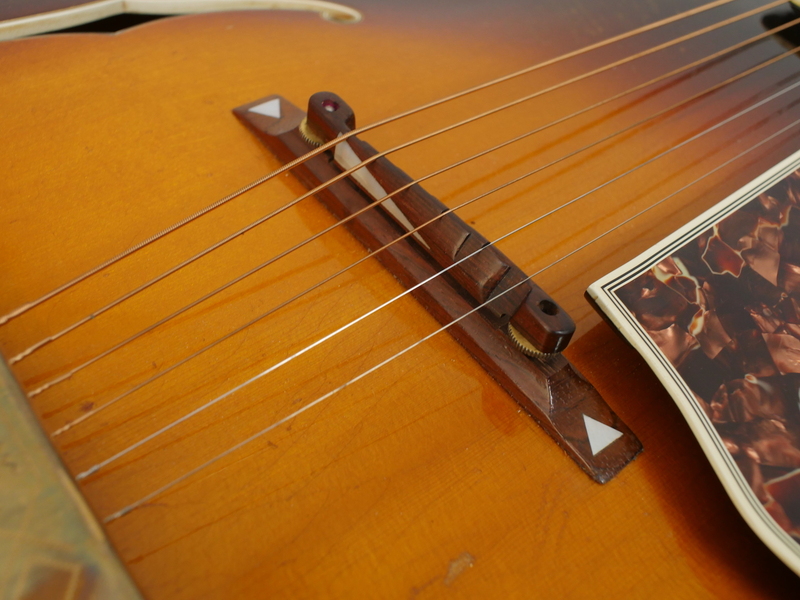 We do not have a great deal of experience with these but as far as we can tell, most, if not everything appears to be correct or original. Serial number is 92505 which places it firmly in 1935 and this is also confirmed by the unique features of this 1935 first production year. 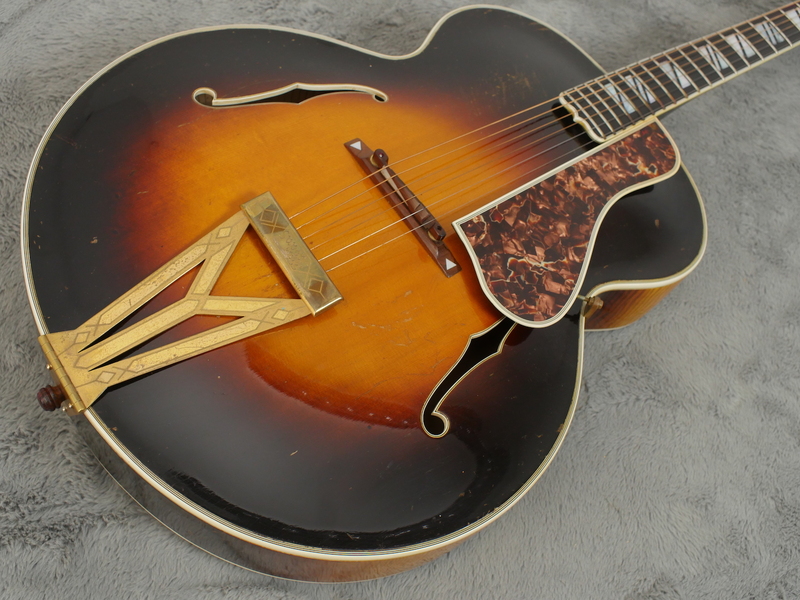 Action is lovely and even after 83 years it plays like a demon and boy… does it project! 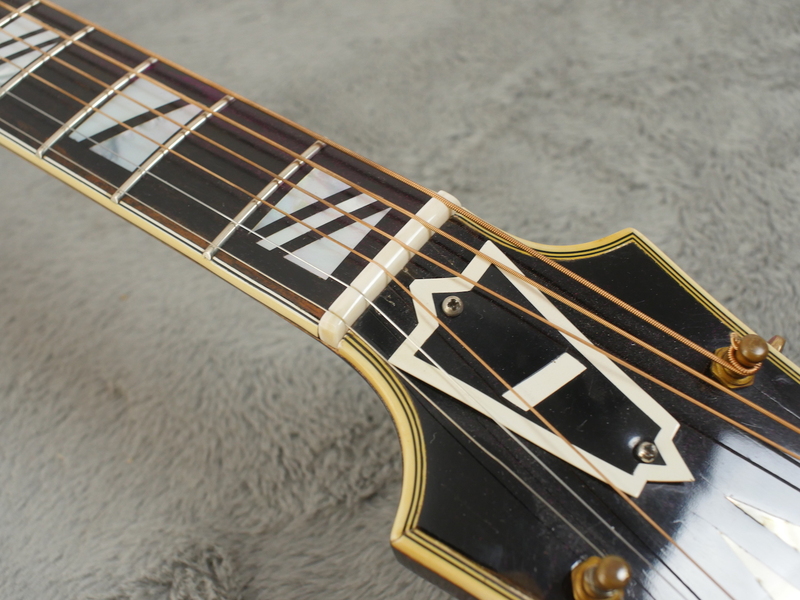 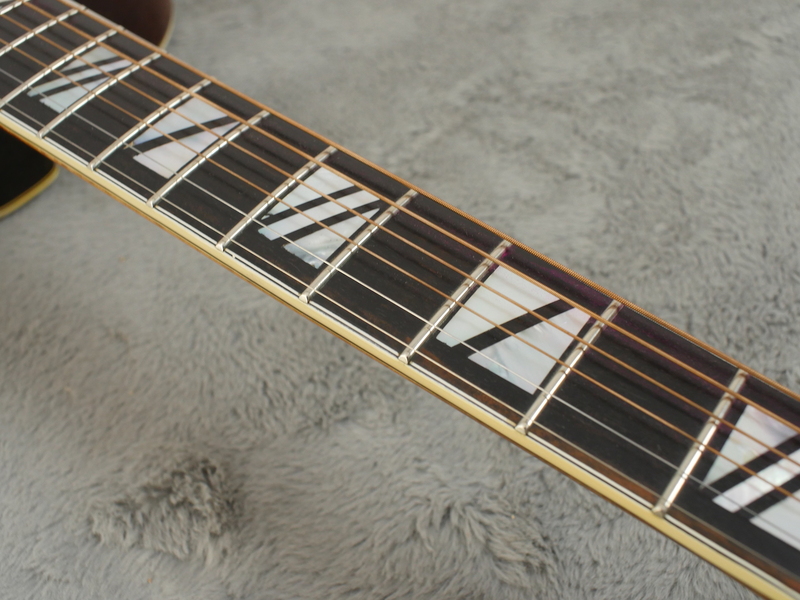 These were made to cut above a swing band orchestra and one of the reasons it has survived all these years without any pickups or other electrification mods is exactly this reason. 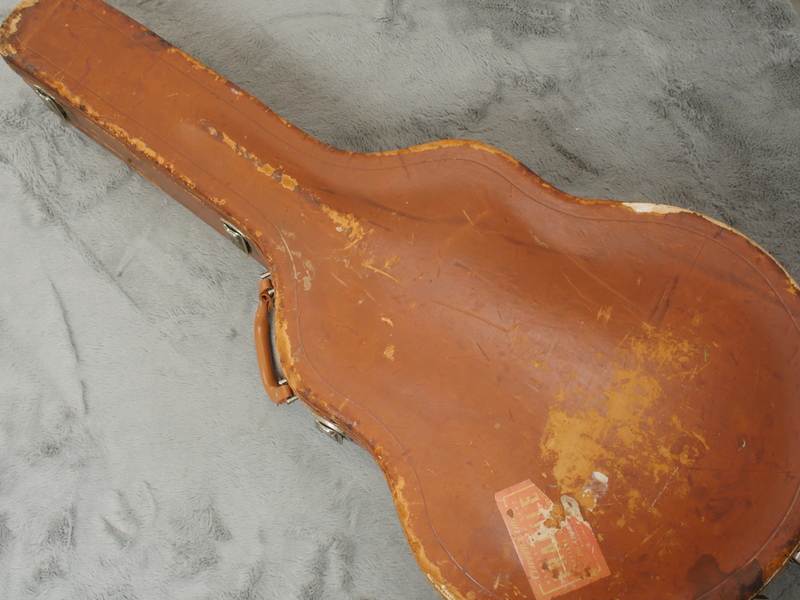 Included is an old leather type case which could well be original, not sure but it fits the guitar like a glove and protects it very well.